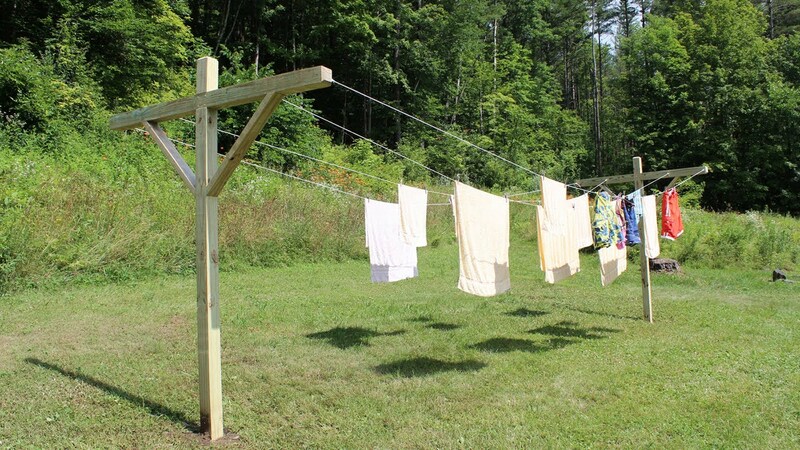 I’ve been thinking about clotheslines lately. I know that seems odd. Believe me, I love my washer and drier so much that I use them daily. They have become old friends to me. And, while I know the sun is a natural bleaching agent, I am not a big fan of crunchy clothes. So why all the recent craving for a clothesline? Allow me to explain. I was asked to speak at a women’s event for our church about the need for authentic gospel community. As I was preparing and praying and pondering, the unique isolation that women in our society experience kept burdening my heart and mind. In a day and age more connected to more people through social media and the internet than ever before, why are women, myself included, more isolated and lonely than they have ever been? What is missing? Can we bring it back? Thus began my craving for a clothesline. I imagine that at the clothesline (or the town market, before that; or the well, before that), women had natural times and places to encounter and connect with other women. I imagine that there were rich laughter, tears, and conversations between women of different ages and stages at the clotheslines: burdens shared, marital hardships discussed, fears assuaged. I am also fairly certain that there was also a fair amount of gossip peppered in there, as women are women, good, bad and ugly. As it stands in modern society, no clothesline remains, physically or metaphorically. Many women are, to use the timeless words of Thoreau, “living lives of quiet desperation.” They need a place to be real, to be raw, to meet with other women who have gone before them and can coach them through the stages of life. Oftentimes, we look at the modern situation (the post-Christian situation, the post-modern situation, whatever you term it), and quake in fear for the Church, as if She is going out of style, as if She will be relegated to the history books. However, in each age, the Church remains relevant and deeply needed if She preaches and points to her Christ, who is the same yesterday, today and forever. Each age provides unique challenges and opportunities for the Church to be the Church. The Church has a unique opportunity to be the clothesline and to create clothesline environments for women. The Cross of Christ provides the safest place for women to come broken, undone and wounded to other women. The Cross truly is the place where we can hang our dirty clothes and our unmentionables. The gospel alone can cut through the cattiness and comparison that pollute and discolor the friendships of women. The gospel levels the playing field and brings us all the clothesline of Christ with our hampers of stained clothes, not to compare and spy out the deep stains of our neighbors in an effort to make ourselves feel better, but to trade them in for like robes of righteousness. In an age of selfies and Insta-competition and keeping up with a thousand Joneses rather than the traditional two on either side of you, the Church has an incredible opportunity. The Church has the chance to introduce women to other women in a uniquely intergenerational way, in a real flesh-and-blood presence way. The Church can set up the clotheslines (and many have), but the clotheslines do no good if we don’t come honestly and vulnerably in the transparency that the Gospel allows. So, put down the phone, turn off the TV and bring your dirty laundry to the clothesline of Christ. Deep healing and presence are there. There is always room for more.